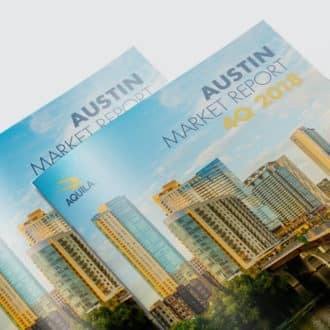 AQUILA Commercial today announced DroneSense has signed a lease for 2,777 square feet at The Terrace, Building 1 at 2600 Via Fortuna in Austin, Texas. DroneSense produces drone software for use by public safety organizations. Robert Paine of Repco Realty represented DroneSense, and David Putman, Ben Tolson and Bart Matheney with AQUILA Commercial represented the landlord.